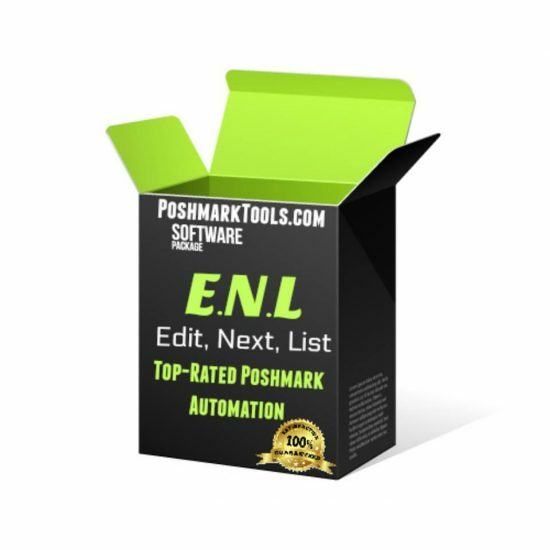 Poshmark PRO Tools Suite !!! Don’t believe what you are hearing? Well, read on to find out in detail exactly how you can receive orders on Poshmark and start making money with your account immediately. This Poshmark review discusses all the features of Poshmark Pro Tools in depth. Automation has taken over every field because it is just not feasible to be dependent on manual work any longer. With the help of automation, the workload gets drastically reduced and the margin for error is also low. The best way to automate work is by using a software. This is all the more essential for sellers who are using an e-commerce platform to offer their products on sale. Poshmark Pro Tools Suite is an example of an automation software which is meant for increasing sales and saving time on the Poshmark portal. In fact, it is the best Poshmark Bot or software application for selling on Poshmark. 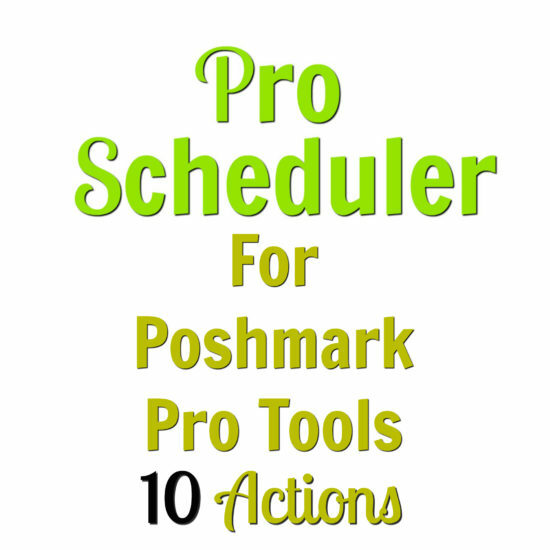 What Does The Poshmark Pro Tools Suite Contain? Laying hands on these three products together is an offer which you just cannot miss if you want to be a top seller on Poshmark and dominate the platform with your presence. This Suite provides the latest and most advanced features compared to any other Poshmark Bot. It is a complete package in terms of Poshmark Automation. If you are an active user of Poshmark and regularly sell your apparel on this platform, then you know how labor-intensive this platform has become. It is somewhat complicated to figure out how things work and to set up a method of gaining orders which actually works. So automation is the need of the hour if you want to get rid of a closet full of unwanted clothes and make money quickly. ->> Auto Follow- You should be able to follow other users automatically to increase your own followers. ->> Auto Unfollow- You should be able to unfollow other users in case they do not show interest in your closet. ->> Auto Follow other seller’s followers- There should be the facility to follow the followers of another user who attracts a lot of attention. You can steal their followers and divert attention to your closet by following them. ->> Auto Follow other users by link- If there is a link provided to a feed or brand, you should be able to follow the users there automatically to increase your reach. ->> Explain the process of following and unfollowing- It is imperative for a Poshmark Bot to give a clear explanation of the way to follow and unfollow users. This is necessary so that you can make use of this facility thoroughly and gain the maximum benefit from it. ->> Auto Share- This is a very handy feature which can increase the visibility of your closet and listings significantly. Now that you know about some of the standard features which a good Poshmark Bot should have, here is a comprehensive analysis of the Poshmark Pro Tools Suite to check whether it meets these standards or not. Runs on Mozilla Firefox- One of the most used web browsers on desktop, Mozilla Firefox is compatible with Poshmark Pro Tools. This means that desktop users can install this software on their machine and run it on the browser. They can access the handy tools on their computers to enhance sales. Auto Share Back Facility- You can share back the listings of those users who have shared your closet on Poshmark automatically. This increases the chances of your listings getting spotted by more people. Random Share Delay- You can set the time gap between every share so that each new share gets the time to be checked out by others before the next one pops up. This is also a smart way to trick the Poshmark security algorithm because it cannot figure out the reason for the delay and thus, is unable to stop it. Auto Follow- One of the ideal features of a Poshmark Bot, it allows you to follow new users or the followers of other users so that you can come in contact with more people and give them a chance to take a look at your closet. No Captchas- This is a great advantage of the Poshmark Pro Tools because the software solves the Captcha on its own through its 2captcha solving service. You do not need to waste time solving the captchas manually. Reverse Sharing- If you want to shuffle the items in your closet while sharing, you can use the reverse sharing method. It changes the sharing pattern so that the same listings seem to appear like new ones and people once again take interest in your closet. You can also share the closet of your friend in reverse. Auto Sharing to Party- In case there is a party happening on Poshmark, you can automatically share your closet listings or even your friend’s closet there so that people can take a look and buy the items that they like. Sharing helps in keeping your closet at the top of search results and followers feeds and thus, attracts more buyers. Multi-Closet Sharing- You get to share the closets of multiple other users on Poshmark in a particular sequence. The software automatically shares the listings of all those closets in order. When you share listings of other users, they check out yours as well and the chances of a sale increase. There are various modules available on a single screen through which you can navigate different features of the tool. In the share module, you can go to the advanced settings section to set a delay for the sharing of a particular number of listings. The maximum number of listings that you can share at a time from your feed is 200. However, if you want to share more, you just need to increase the number of loops. For example, keep the loops at 5 if you want to share 1000 listings. There is a log window where all your sharing activity gets displayed. An additional feature is that you can save and download this log in case you want to show it as proof to the clients whose account you are managing. The share group feature allows you to collect multiple closets to create a group which you can share on Facebook or Twitter. You can keep different settings for individual closets in a group in terms of delay between shares and delays between loops. There is a free 3-days trial period during which you can check whether you feel comfortable in working with this software and whether it is showing any results. The software leads to 3 to 5 sales just after you begin to use it. This means that the software pays for itself in a short time. The number of people that you can follow is kept to 999. This limit needs to be increased a little so that following becomes easier. Information processing takes time when you choose the option of multiple closet sharing. This is the second product in this Suite which is highly effective in increasing sales. Leads are always important for any business in order to expand the customer base. However, lead generation for Poshmark is somewhat different than the regular social media lead generation techniques. Poshmark Pro Leads are generated on the basis of keywords. How does the Poshmark Pro Leads Software work? This software can help you to build a customized list of followers for your closet based on the brands that you sell. This is a sureshot way of gaining leads and converting them into customers in the future. You need to type in a keyword related to the brands that you have in your closet and click on Start. The software immediately identifies listings on Poshmark which contain that keyword. In case someone has liked or commented on your keyword, the software automatically starts following them. Your target audience is ready. Now that you are a follower of those people, you can share your closet so that it is visible to them. As they have already shown interest in the brands that you sell, there is a good chance that they would end up buying something from your collection. The software gives you direct access to people who are most likely to buy the brands that you sell. This increases the potential for sales considerably. You do not need to put in much effort to grab the attention of users you follow because they are already interested in the products that you are selling. You can build your own group of followers and increases the number of interactions with others which can give you prominence on the platform. The software allows you to set the rate of following manually which helps in keeping the account secure. The design and interface of the tool makes it one of the best and most credible Poshmark Bots in the market. This software is available for free use for a trial period of 3 days for you to try it out and see whether it really works in your case. Leads do not always get converted into customers because everybody has an individual taste in terms of fashion. They may like the brand that you sell but may not necessarily like the outfits that you have listed. This is the third and last product in this category. It is a latest addition to the Suite and completely in keeping with the requirements of the present Poshmark sellers. According to a study, sharing Poshmark listings on Instagram can increase your sales by at least 25%. When such a social media platform with a huge membership can give you such good returns, you should definitely tap this source for more customers. However, it is not possible to sit and share every listing in your closet individually. This is very time consuming and tedious. How about a software which can do this work for you in a jiffy? Isn’t that amazing? InstaPosh does exactly this by uploading all the Poshmark listings on Instagram quickly. How does the InstaPosh Software work? You need to open the software and provide the log in details for your Poshmark account. The next information to be entered is your Instagram credentials so that the software can connect to that account and synchronize with it. When the Settings page comes up, you need to enter your preferences in terms of sharing of the closet so that it happens in a customized way which can bring you the maximum benefit. The next step is to upload all your listings into the InstaPosh software with the press of a button. When all the listings are loaded, you get the option of selecting the listings that you want to upload on Instagram. You can delete the listings which are not relevant. For marketing purposes, you can add catchy hashtags related to brands that you are selling. If required, write a short caption to go with the picture so that people understand what the product is exactly. When all the pictures are ready with the content, you just need to click on Upload to send them all to your Instagram account instantly. Your account is quickly flooded with attractive pictures of your Poshmark products and visible to all your followers. Viewers can click on the pictures to take a closer look and place an order through the link in the caption, thus, increasing your sales. This simple software can fill up your empty Instagram account with the full Poshmark closet in the matter of a few minutes. Your listings can find extensive viewership on Instagram. Such a significant increase in visibility can generate a lot of leads and drive traffic to your Poshmark webpage. There is no need for any additional marketing strategy because the people following you can immediately take a look at your collection. If they like a listing, they just need to click on the link provided to get redirected to the Poshmark website and make a purchase. You can concentrate on just updating your listings periodically because this tool does the rest by instantly uploading them on Instagram. This is a huge time saver. You need to think of the hashtags and captions to go with every picture and enter them manually. The biggest advantage of using this set of software is that your listings get promoted without the use of any marketing strategy. When the software automatically shares the items in your closet and the listings on your Feed with your followers, they share your listings in return and promote your content indirectly. Your closet becomes viral within a short span of time and gains visibility among a lot of Poshmark users. When your items dominate the search results, they appear more credible and popular. This automatically leads to increase in sales. The Free Trial period offer that every product comes with in this Suite is a very lucrative deal. You can try the trial version of this software absolutely free of cost for three days. During this trial period, you can review the software on the basis of ease of use, functions of every module and end results. Generally, this software Suite gives instant results in the form of a few sales from the first day itself. The reason behind this is the high level of automation that the software brings to the table. After 3 days of free trial period, if you are satisfied with the product, you can purchase the full feature package for a very nominal cost. The best part is that this cost of buying the Poshmark Pro Tools Suite is that it can pay for itself within the very first week. Thus, with a small investment, you can reap multiple benefits and generate greater profit from the same closet in no time. Operating the Poshmark platform without the use of Poshmark Automation software takes a lot of time because there are so many complicated steps to follow in order to create leads. The software allows you to share, follow and unfollow other users with the click of a button. This is time saving and efficient because a little effort gives great results. You can focus on uploading new listings to make your closet versatile as well as attractive. The excitement of sharing thousands of items in a jiffy compared to the painstaking process of sharing each item manually is worth the expenditure. How To Make Money On Poshmark? If you are confused about how to sell on Poshmark in a way that fetches you decent profits, the best answer is to buy the Poshmark Pro Tools Suite. It is extremely helpful in reducing the workload. Instead of wasting time on figuring out how the metrics work on Poshmark, you can opt for the sureshot method of increasing sales by using the Poshmark automation software. The only thing that you need to do is to select some amazing closets to share with your followers. When you share these closets using the multi-closet sharing option, you can turn their followers into yours by gaining visibility. As the number of shares and followers increase, your listings feature in the top search results for the brands that you sell. This guarantees greater sales and helps you to make money passively. Just modify the settings for sharing on Poshmark Pro Tools Suite and sit back to enjoy quick sales and instant profit. It offers a simple interface which can be navigated by most of the users without any hassle. It comes with an easy download and setup process which takes hardly more than a few minutes. You get an immediate boost in the number of shares, likes and followers after downloading the full version of the software. There is no need to hire a manager for the Poshmark account to handle sharing and following because the software completely automates this process. This Poshmark bot is free of any kind of technical complications which can come in the way of sales. After thoroughly reviewing every feature that this Suite of Poshmark Pro Tools has to offer in this Poshmark review, it can be established conclusively that there are very few areas for improvement. Compared to the superior performance of the software, these shortcomings do not have much merit. The amount of work that this software is capable of doing is just amazing. According to the analysis done in this Poshmark review, this the best Poshmark Bot and automation software available in the market at present. If you want to streamline the process of selling on Poshmark, just download this Suite and synchronize it with your Poshmark account. Are you ready to achieve unprecedented success as a seller on Poshmark and grow your business geometrically? If yes, then go ahead and get your Free Trial version of the software today. 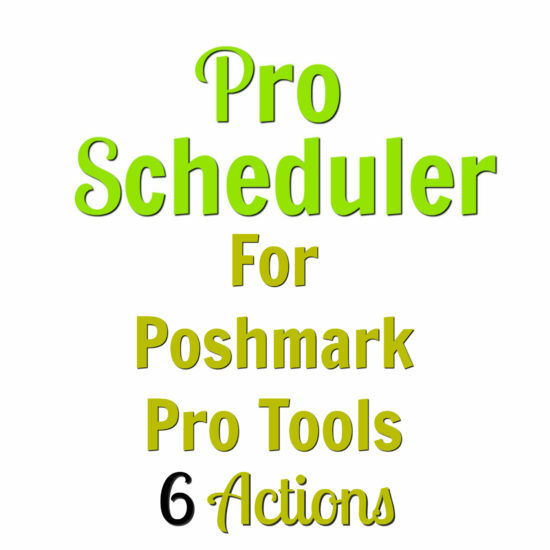 Follow it up with the full version of the Poshmark Pro Tools Suite today and see the difference! For more Poshmark reviews, keep an eye on this space. And check out their Shop for purchasing info!